Making smart, efficient use of distributed clean energy resources is a key enabler in order for a more sustainable U.S. energy mix to fully mature. 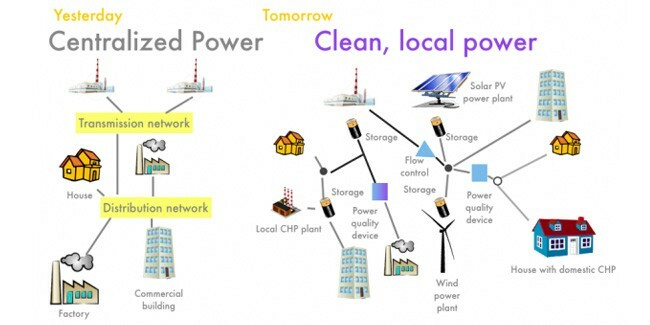 Santa Clara, California's Green Charge Networks (GCN) has been carving out a niche for itself in the nascent, growing U.S. smart grid-energy efficiency market space. It sets itself apart by leveraging the latest in battery storage technologies, its own proprietary energy management algorithms and software, and zero-down, results-based customer Power Efficiency Agreements (PEAs). On July 29, GCN and new firm K Road DG announced the closing of $56 million in funding that will help the company take the next step. GCN will use the funds to spur uptake of its GreenStation energy management and storage solution (pictured above) and associated PEAs. Through PEA agreements, investment returns are linked to customers' actual demand charge and utility bill savings. To date, GCN has closed over 2 megawatts (MW) of these zero-down agreements with a variety of customers, including 7-Eleven, Walgreens and UPS, as well as school campuses and municipalities in California and New York. GCN was founded in 2009 with an American Recovery & Reinvestment Act of 2009 (ARRA) award, which was pivotal in enabling the company to develop its GreenStations. Similar to solar energy leases and power purchase agreements (PPAs), through its PEAs, GCN owns and operates energy storage assets at customer sites, installing the system with zero-down and zero in the way of maintenance charges. Customers, and society, benefit through reduced power usage and energy consumption. This also means shrinking carbon and greenhouse emissions, as well as other environmental pollution caused by conventional fossil fuel exploration, production and use. Economically, GreenStation customers realize savings on energy bills, more specifically the demand charges utilities charge large energy consumers. According to analysts at market research company IHS, energy storage installations will grow at a rate of over 40 gigawatts (GWs) annually by 2022 from just 0.34 GWs in 2012 and 2013, with the U.S. expected to be the largest market for grid-connected energy storage.